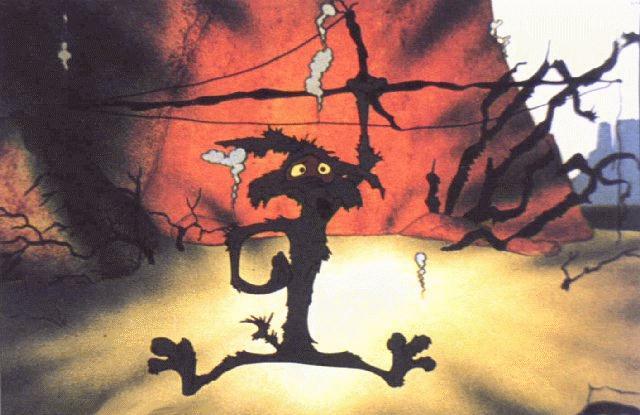 The hockey world can debate the merits of blowing the Washington Capitals up, but the team probably feels like Wile E. Coyote after a typical failed detonation right now. The Capitals had their chances, but the Ottawa Senators took advantage of some great work by Erik Karlsson and another lousy outing by Tomas Vokoun to take a 4-0 lead that made life rather glum for Alex Ovechkin-less Washington. Vokoun was pulled for the second consecutive game and while Michal Neuvirth looked good and Washington saved some face (the final score ended up 5-2), it’s hard to find many positives for the decrepit D.C. denizens. While Dale Hunter spoke of the need to “cover up” for Vokoun, the Senators are rejoicing in Karlsson’s explosive offensive season. The splendid sophomore Swede scored three points including two assists, setting a new franchise mark with 47 on the season. His 60 points leads NHL defensemen by a huge margin and Karlsson’s been particularly hot lately, with a dizzying five goals and seven assists in his last five contests. Karlsson likely has a lot to learn in his own end, but his offensive production might just make him the new Mike Green (without all the baggage of blame, at least right now). This marks Ottawa’s fourth win in a row, placing them comfortably in seventh place in the East with 72 points. In fact, they’re currently tied with the Northeast Division-leading Boston Bruins with those 72 points and are only two points behind the New Jersey Devils for the fourth seed. Of course, they’ve played five more games than Boston (62 GP to 57) and three more than New Jersey – so they appear larger in those squads’ rear-view mirrors than they actually are – but Ottawa is making some serious noise either way. Washington, meanwhile, is uttering a mere whimper. They’ve lost three games in a row and now find themselves two points behind the Winnipeg Jets (65 to 63) for ninth place, although they do have two games in hand. They also trail the eighth-place Toronto Maple Leafs by two points but don’t have those games in hand, so this was yet another missed opportunity for Washington. The story of the 2019 Stanley Cup Playoffs has been all about upsets and a bunch of teams you’re not used to seeing this time of year making unexpected runs. All four division winners lost in Round 1, five lower-seeded teams in total advanced, and a lot of the traditional powers that we have come to expect to be playing this time of year are already finished. Chicago and Los Angeles didn’t even make the playoffs. Pittsburgh, Washington, and Tampa were all bounced and won just three games (all from Washington!) between them. Winnipeg and Nashville, a Stanley Cup favorite for much of this season and a recent Cup Finalist, are also gone. Other than Boston, San Jose, and St. Louis, we are left with a wide open field that is full of teams that are not normally here. The Carolina Hurricanes are in the playoffs for the first time since the 2008-09 season, and obviously playing in Round 2 for the first time since then. This is the first time the Columbus Blue Jackets have EVER made it this far in the playoffs. The Dallas Stars are in the playoffs for just the third time since 2009, and in Round 2 for just the second time since then. The Colorado Avalanche have not been in Round 2 since the 2007-08 postseason. This is only the second time since 1993 that the New York Islanders have made it this far. The two main talking points as to how we got here seem to revolve around the highly controversial playoff format, and just how meaningful the regular season actually is. Let’s start with the latter point, regarding the regular season and what it means. When you see all four division winners go down in Round 1 it’s easy to jump to the conclusion that the 82 games you just played didn’t mean anything and that just getting in is all you need. There might be some element of truth to “just getting in” being important, but let’s not overreact to one year here and just assume the regular doesn’t mean anything. Because it does, and winning your division usually does get you a pretty big advantage in the playoffs because it means you are playing one of the weaker teams in the field. The results before this season show just how big of an advantage that is. In the five previous seasons under this current playoff format division winners won their first-round matchup 14 out of 20 times, and usually did so relatively easily. Those division winners won their series in an average of only 5.2 games, and none of them needed a seventh game to advance. On the six occasions that they did lose, three of them were in a seventh game and two of them were in a sixth. You had the occasional upset, usually in an anything can happen Game 7, but it wasn’t anything like this. Obviously Tampa and Calgary are the two big upsets, simply because they were top seeds in their respective conferences and because they went out with such a thud. Tampa was swept, while Calgary managed just one win against the No. 8 seeded Avalanche. The only thing you can probably say about each one is they were playing teams that probably weren’t your typical “No. 8 seeds” going in to the playoffs. Columbus loaded up at the trade deadline with rentals to bolster what was an already strong lineup that was probably better than its record had indicated all season (I was high on them around mid-January, even before the trades!) because the goaltending had sunk it so much. Throw in a Victor Hedman injury and a Nikita Kucherov meltdown on the Tampa side and suddenly the gap closes a little. That doesn’t excuse the rest of the Lightning’s no-show performance, but if you dig below the surface “top seed loses four in a row” you can at least start to rationalize it a little (but only a little). Even though Colorado was 17 points worse than the Flames during the regular season, the Avalanche still have three of the best forwards in the NHL, all of whom can take over a game at any time, and they had the better goalie going into the series. That isn’t to say Mike Smith wasn’t the reason the Flames lost, but Philipp Grubauer was great in the Avalanche net (and the three superstar forwards were also great) and sometimes that is all it takes for an upset. These are still stunning results, and even more stunning when you add them to the other division winners going out. It’s there that things start to become a little more reasonable (and this also includes Pittsburgh and Winnipeg going out) because the gaps between the teams just weren’t that large. If they even existed at all. The Capitals were the defending Stanley Cup champions, but only finished five points ahead of their first-round opponent, the Carolina Hurricanes. The Hurricanes had been one of the best teams in the NHL since January 1, storming into the playoffs playing on a level that only a handful of other teams in the league were at. The Predators, Central Division champions, were seven points ahead of the Stars, and that gap had been shrinking for weeks leading up to the end of the regular season as the Predators started to fade and the Stars started to trend upward. The Islanders finished three points ahead of the Penguins. The Blues and Jets finished with the exact same number of points. A No. 1 seed going down in Round 1 isn’t unheard of in the NHL. It happens. Not regularly, but often enough that it’s not a total shock when it does happen. We also know that the Stanley Cup Playoffs can be a bit unpredictable because of the nature of the game where a hot or cold goalie can swing a series, an injury can hold a team back, or a couple of forwards can simply shoot the lights out for six or seven games and carry a team. It is at times a completely random sport. This postseason has just been a perfect of storm where all of it came together at the same time to produce what has been, so far, one of the weirdest and most unpredictable postseasons we have ever seen. The wild card teams were, in a lot of ways, better than your typical wild card teams we are used to seeing. The division winners were maybe a little more vulnerable for one reason or another (injuries, goaltending). I don’t think it’s a statement on the league or the format as a whole, I think it’s just a statement on the sport itself in that sometimes weird things happen. And that might be the simplest way to explain the 2019 playoffs: It’s been a weird year.